Whenever I talk about modernizing pedals that refers to maintaining and improving vintage pedals without changing their tone. Sometimes this involves converting the pedal to true bypass, adding a status LED, replacing old and aging components like electrolytic capacitors, and in this case: converting the pedal to run on a standard power supply / pedal power unit. This may sound confusing to some people. Why doesn’t changing the power supply change the tone? 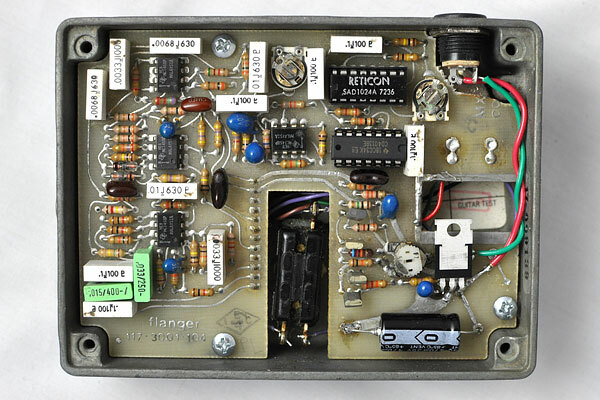 In this example, the MXR 117 uses a 15V regulator. That means it will take a higher voltage and always outputs 15V to power the audio circuit. Our modification removes the internal transformer and power cable and inserts a jack in its place to allow you to power the pedal from an 18V power supply. 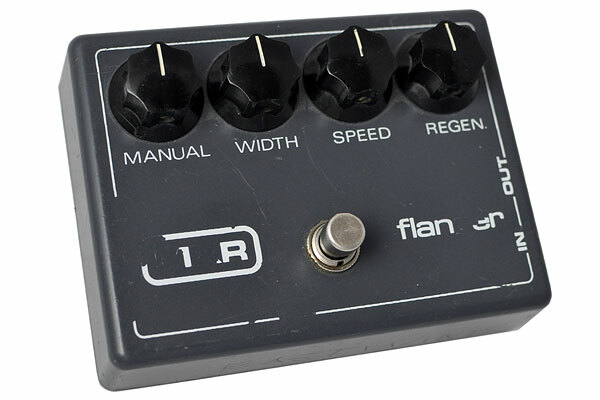 This is also a great option for pedals where the internal transformer has failed. Removing the internal transformer also allows this pedal to be rehoused, but that’s a post for another day.